In September, there were two work days hefting ties into a dump truck bound for the Lebanon Landfill. 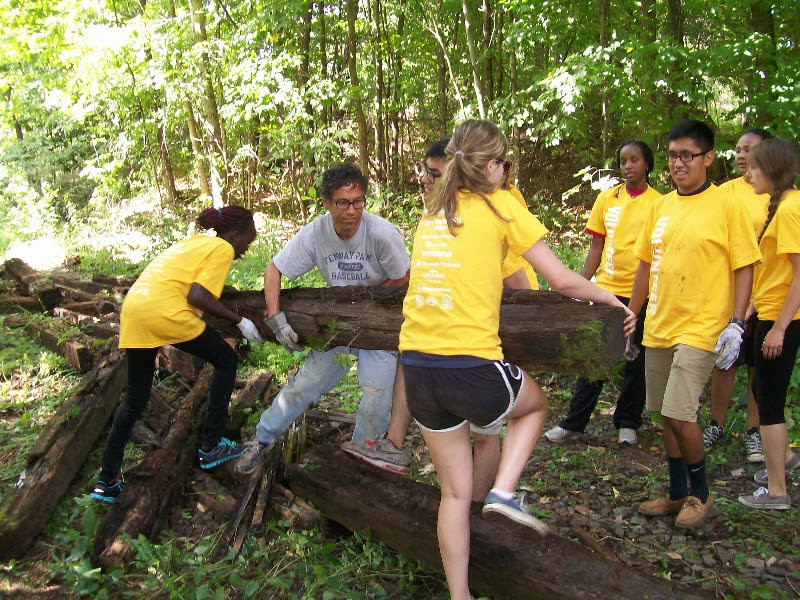 The Upper Valley Trails Alliance organized a group of high school students to provide the lifting. They were all young women who worked hard. One was heard to say “I’m glad I’m not out here with a bunch of boys telling me how much better they are than I am.” They did wonderful work! On September 8th, another group loaded several truckloads of ties and then pulled about 100 yards of ties out of the weeds and onto the railbed. Later, a group of Dartmouth freshmen arrived and lifted those ties and others into trucks. The afternoon crew was organized by UVTA through the Granite United Way’s Day of Caring. Thank you to everyone involved! This entry was posted in Mascoma River Greenway Updates. Bookmark the permalink.